At the heart of Madison County and the center of Winterset stands our beautiful and much beloved limestone Courthouse. 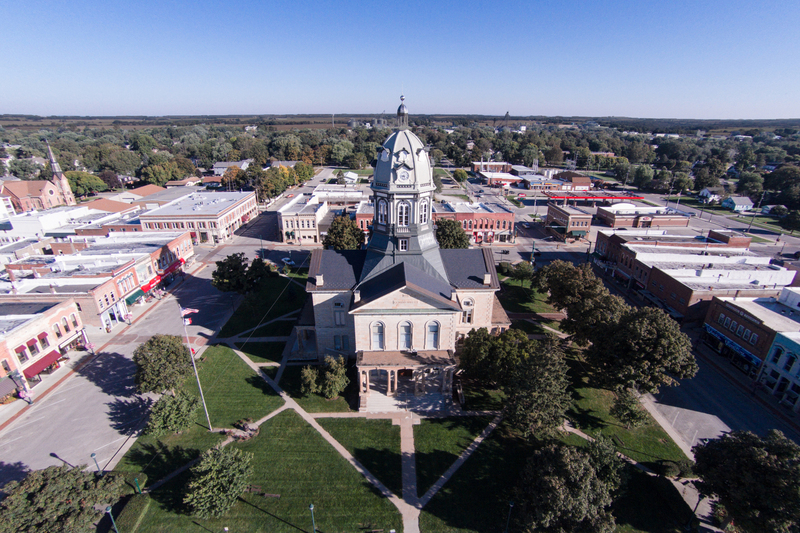 It is a significant building to the development of Winterset and still houses Madison County’s government office. Many of the commercial buildings surrounding the Courthouse Square are historically intact. A desire to protect, restore and refurbish these historic treasures led to a grass-roots effort to obtain a coveted National Historic Register designation for the entire commercial district. On December 22, 2015, the grand Madison County limestone courthouse and historically intact commercial buildings surrounding the square were designated as a National Historic District by the National Park Service. These buildings represent the significant historical development of Winterset and Madison County. More about Winterset’s history and buildings on the National Historic Register can be found on the Madison County Historic Preservation Commission Website.